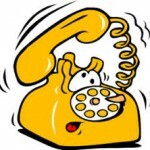 Telephone interviews are an inexpensive and quick way for employers to screen prospective job candidates. Generally speaking, employers use phone interviews to verify that a candidate’s personal information, qualifications and skill sets in his/her curriculum vitae is correct, accurate and consistent with what employers may have learned about an applicant online. Another use of phone interviews is to determine whether or not a job candidate has the requisite oral communications skills required to perform the job that he/she applied for. Finally, and perhaps more nefariously, telephone interviews can allow employers to garner insight into a job candidate’s race, ethnicity or national origin (this can easily be discerned by accents speech patterns and colloquial use of English) and immigration status. In today’s tight job market, an outstanding command of the English language and permanent residency or US citizenship are what many American employers prefer in permanent full time employees. However, this does not mean that well qualified, non-native English speakers will not be invited to participate in a face-to-face job interview To increase the possibility of a face-to-face, job candidates can do a variety of things to prepare for and optimize his/her performance during phone interviews. 1. Use a landline. You don’t want to risk having problems with cell phone service. It is irritating for employers to conduct interviews if the call breaks up frequently or is dropped. If you don’t have a land line or access to one, make sure that the telephone interview is conducted in a location with as much cell phone service as possible. 2. Keep your resume and job qualifications readily available. In fact, lay out all of your materials in front of you before the call. This includes your resume, notes about your career objective and skill sets/qualifications for the job and anything else you that think may be helpful during the interview. 3. Steer clear of distractions. Find a quiet place to interview and stay there! There shouldn’t be any noise in the background to distract you or the hiring manager. However, it is understandable that this can be tricky if you have young children at home who need your attention. When you set up your interview appointment, try to schedule it for as precise a time or window as possible. That way, you are able to avoid possible distractions. 5. Beware of jokes or sarcastic remarks. Jokes or sarcastic remarks that may be deemed harmless in face-to-face conversations can be misinterpreted during a phone interview because an interviewer cannot see your body language or facial expressions when a comment is made. Also, an employee who is sarcastic or prone to joke telling is may not be considered professional to some hiring manager. Therefore it is a good idea during a phone interview to maintain your professionalism; stay on target with the interview topics and focus on the key information about you that will get you hired. 6. No eating, drinking or chewing gum! While eating, drinking and chewing gum are typical things that people do, none of these activities should be performed during a phone interview. They can interfere with your ability to communicate and are considered to be unprofessional behaviors (unless of course you are working through a lunchtime meeting after you are hired). 7. Turn off all electronic devices. The goal of a telephone interview is to let a prospective employer that you are serious, focused and keenly interested in the job that you are interviewing for. There is nothing more annoying, disruptive or rude then hearing an email alert or vibrating phone during a conversation. If you want to get invited to face-to-face interview, then turn off all electronic devices (tablets, laptops, televisions etc) before the telephone interview begins. Remember;DO NOT ask about salary or benefits. These questions are best left for face-to-face interviews. However, if the interviewer asks about salary requirements then you should be prepared provide an answer. Typically, it is a good idea to provide a salary range and if you are reluctant to offer that information it is acceptable to say “a salary commensurate with persons with my qualifications and years of experience. While these recommendations cannot eliminate employer bias or job discrimination, using them to prepare for an upcoming telephone interview will signal to prospective employers you are professional, serious and extremely interested in the job opportunity. And, hopefully, your performance will be sufficient to garner an invitation to participate in a face-to-face, onsite job interview. Good Luck and Good Job Hunting!!!!!!!!!! !